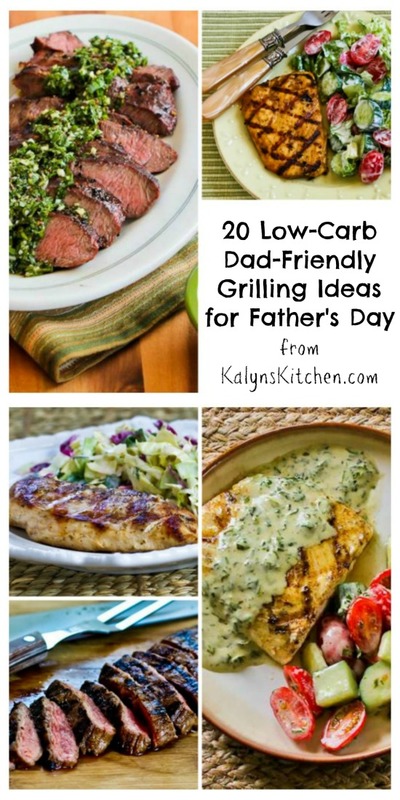 For every health-conscious dad who loves food from the grill, here are 20 Low-Carb Dad-Friendly Grilling Ideas for Father's Day! Holidays are important, partly because of the way they remind us about what we have and don't have in our lives. When I was a kid, I took for granted having the world's greatest dad, and I just assumed we'd be honoring him on Father's Day every year. Then I got older and realized there are dads who abandon their kids, are abusive, or don't set a good example, and I became even more thankful about the way I'd hit the jackpot in the parents department. (My mother who died in 1998 was also an amazing person.) Now I'm in a different phase of my life, and this year on Father's Day I know I'll be thinking about how much I miss my Dad.